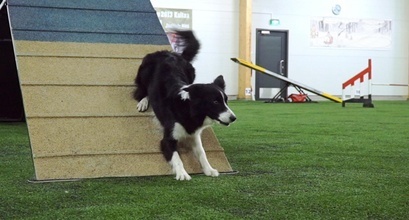 In Hu's Training Video Blog #21 we can see the 8,5-month-old Hu doing some obstacle training and Front Crosses with handler Mari. Where to purchase the clear weave guides in English? WOW I just love this session Mari Kaplas. Lots of great learning in this.Thankyou. Thank you for your comment. We have bought quide wires from here: http://www.dogantti.fi/tuotteet.html?id=1/22. Love the idea of introducing the puppy to the guide wires. Where did you purchase your clear guide wires? I have been wanting to find something similar but I have not been able to find anything like that in the US.